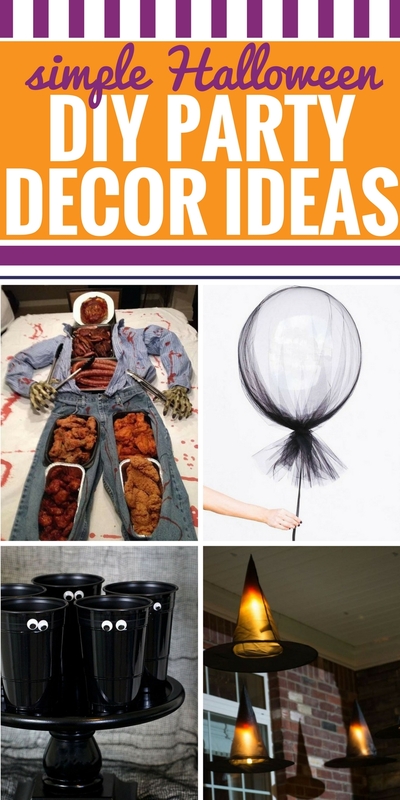 Whether you’re trying to be gross, scary or even classy, you’re going to love these DIY Halloween Party Decor Ideas. For kids, teens and even adults, these decorations are easy to make, and you can even get a lot of your supplies at the Dollar Store. My kids love Halloween decorations with glow sticks, and I’m a huge fan of the Halloween Buffet. Boo!